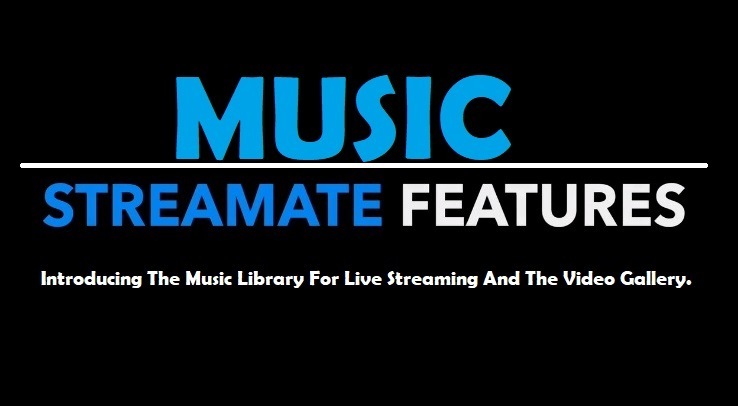 The new Streamate Music library is a feature that numerous models have requested and now it’s here! This new feature from Streamate is only available in the video gallery and do not automatically play during live streams. You can of course play your selection from the Streamate Music Library if you’ve downloaded the file to your computer. Unless you’re live streaming during a Top Spot Gold Show, then you still are not able to play music. ALL TRACKS WITHIN THE MUSIC LIBRARY ARE LICENSED BY STREAMATE AND ARE ONLY INTENDED FOR USE ON THE STREAMATE PLATFORM. **AUDIO THAT DID NOT ORIGINATE FROM STREAMATE MUSIC LIBRARY IS STILL PROHIBITED FROM USE IN VIDEO GALLERY VIDEOS. Time to bump and grind! Give your Video Gallery vids a boost with fresh beats from Streamate Music Library! Simply browse, download, add to video, and upload to your Video Gallery! Now that the policy for cammodels wanting to sell video downloads on Streamate has changed, most adult content creators have started to use the video gallery more often. If you need more information on how to sell content on Streamate here is a video showing you how you how it’s done. If you’re a member of the Boleyn Models Daily Pay network, find out how you can receive a weekly bonus working on Streamate and get paid every day. And if you aren’t already a cherished member in our network please take a look at the frequently asked questions regarding the Streamate Daily Pay Transfer Process. Or Hit Us Up On Skype At “BoleynModels or Katy.Boleyn” for additional questions.